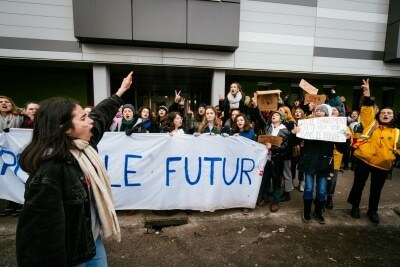 Demonstration of students on strike for the climate. 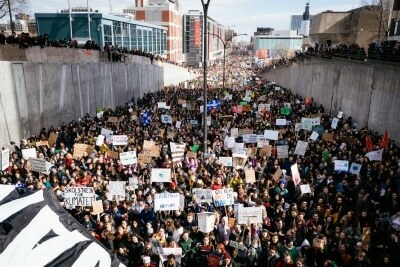 The crowd was estimated at more than 100,000 people by the organizers and 65,000 by the Montreal Police Service. 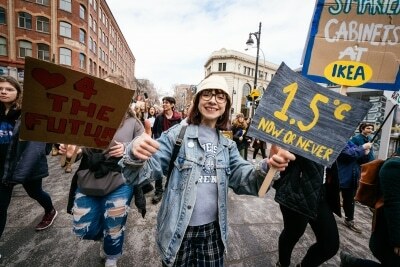 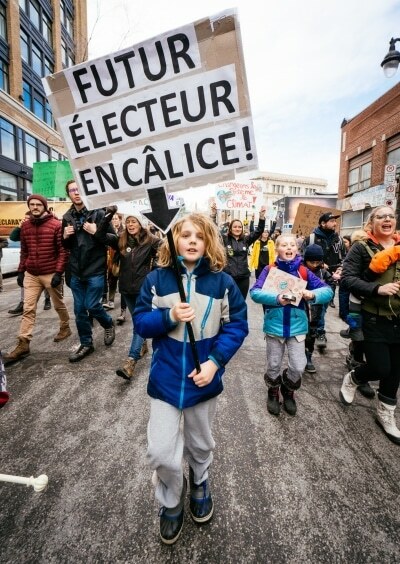 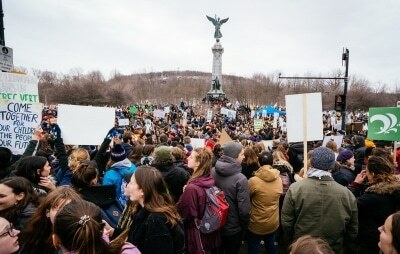 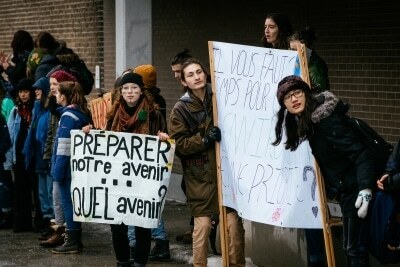 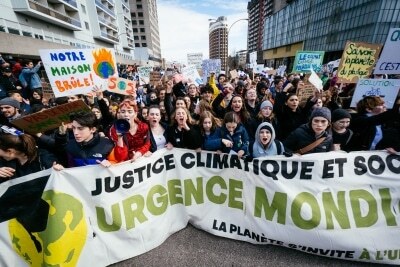 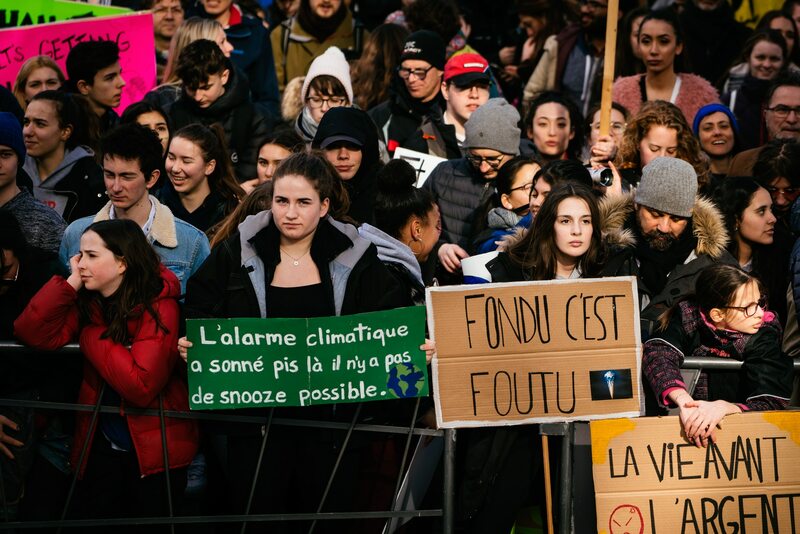 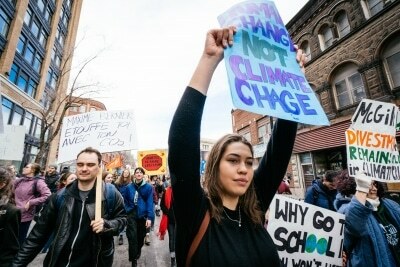 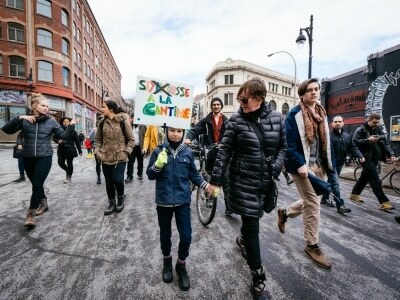 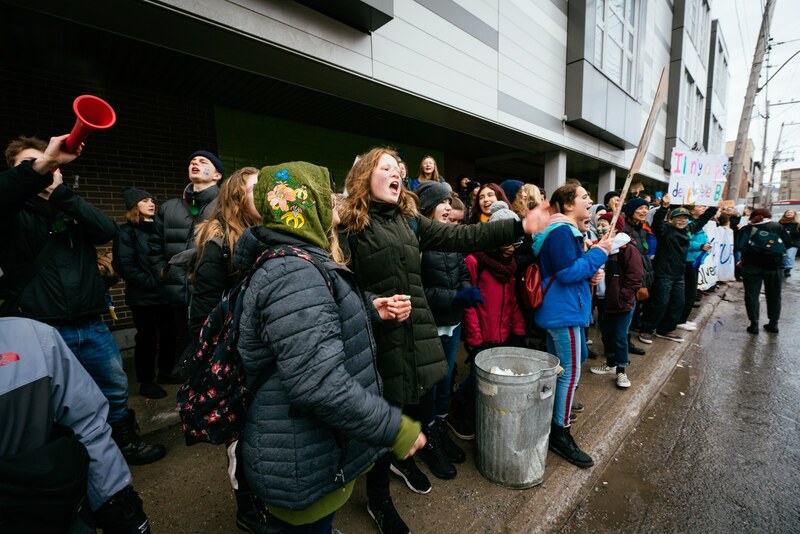 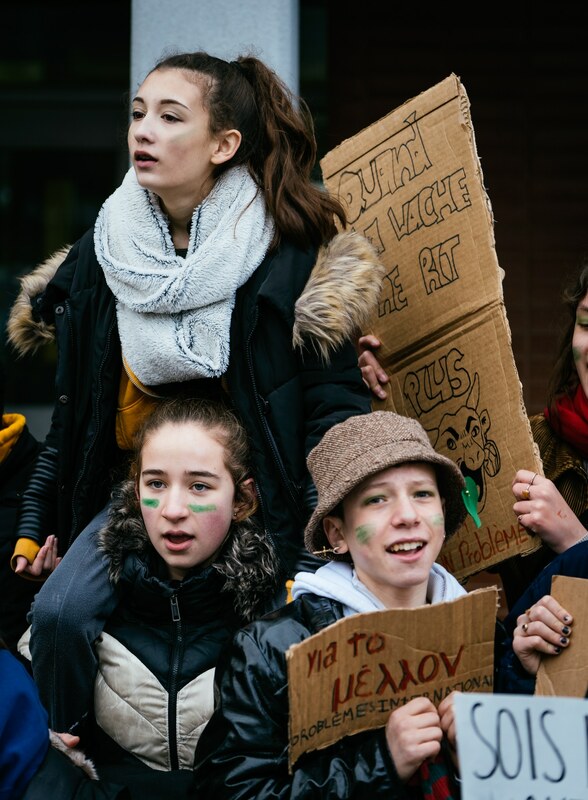 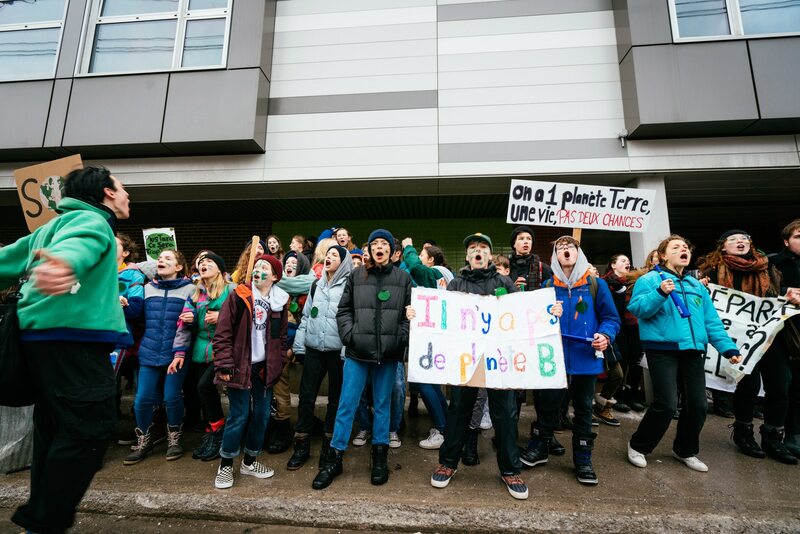 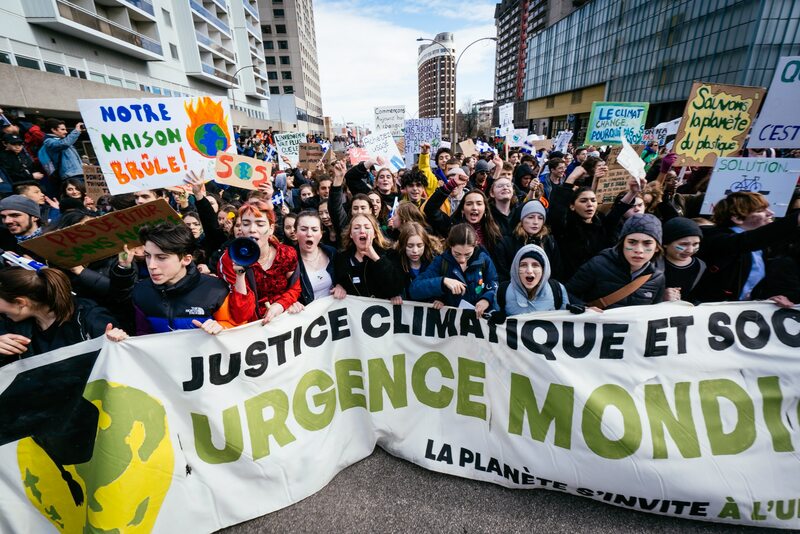 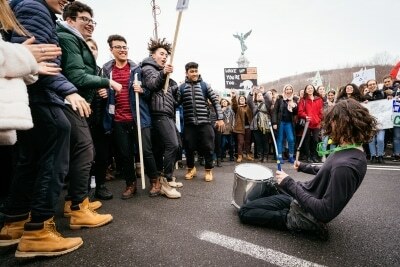 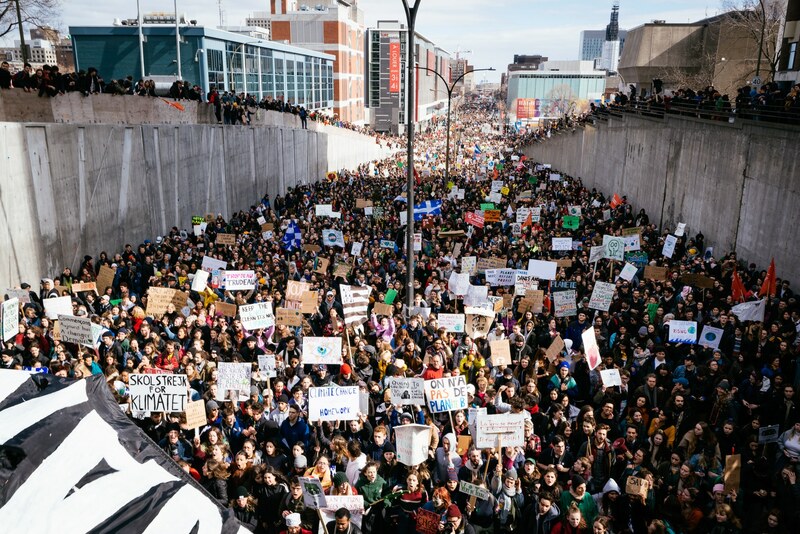 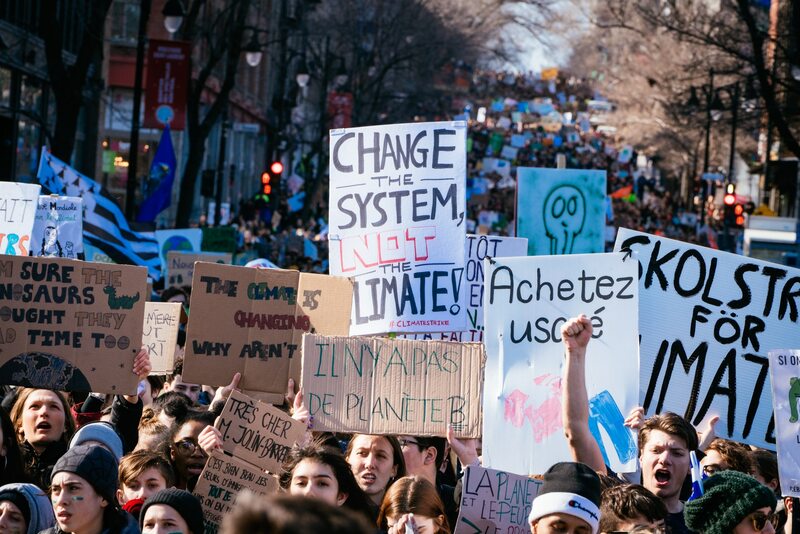 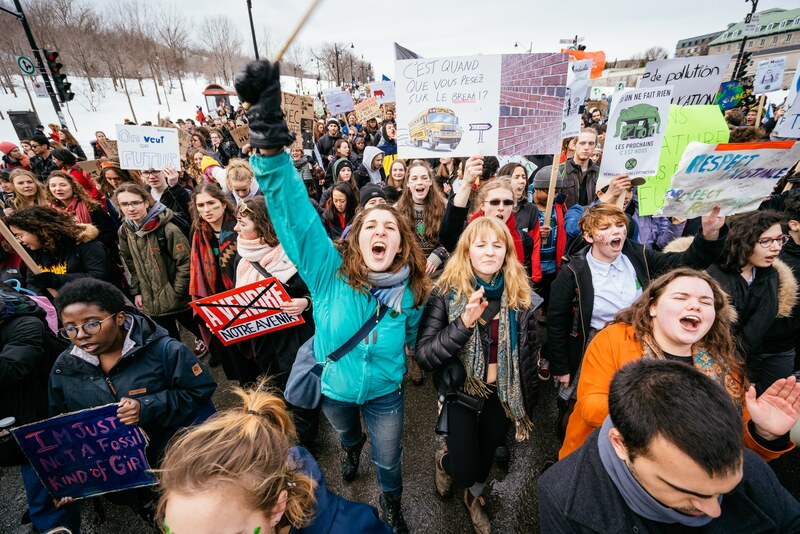 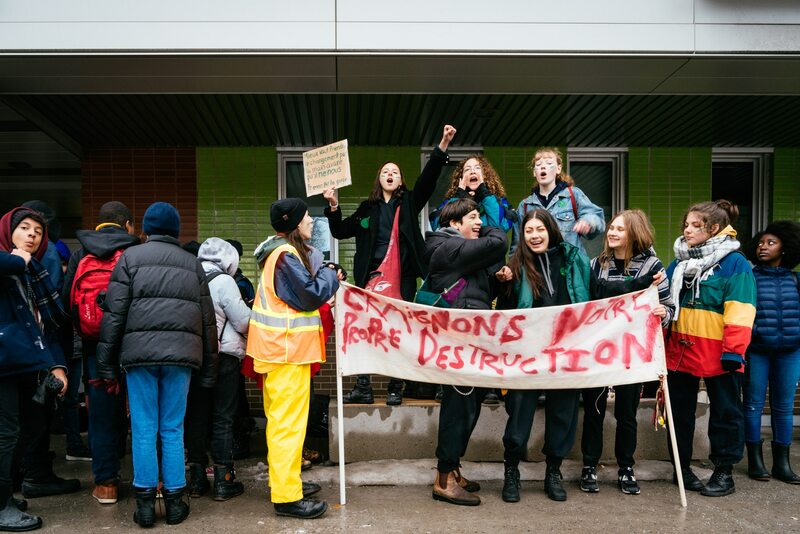 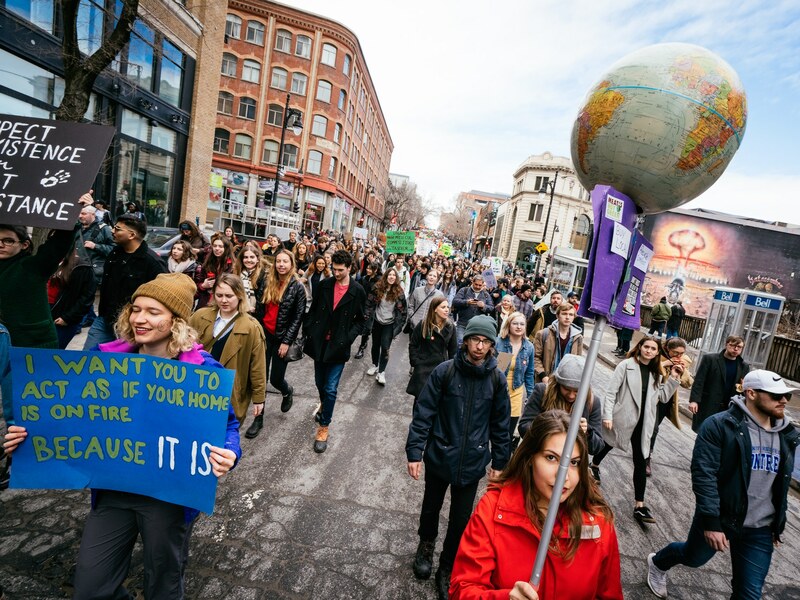 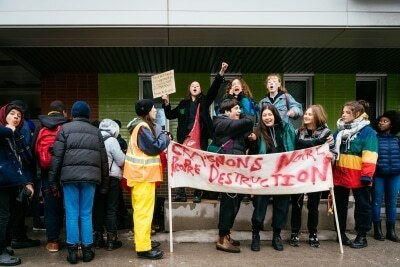 Nearly 150,000 students were on strike today in Quebec as part of the global movement “On strike on March 15 for the climate. 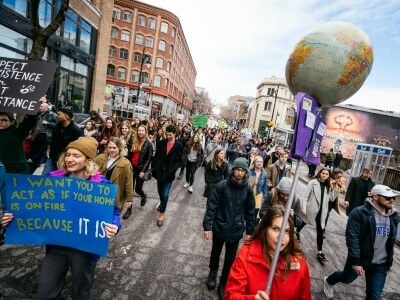 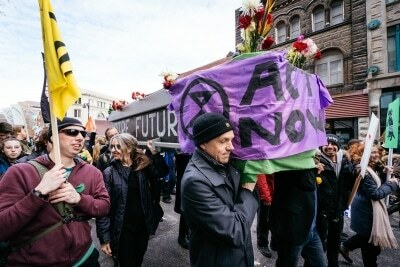 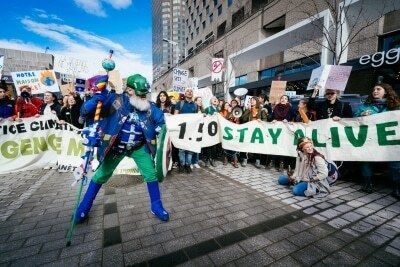 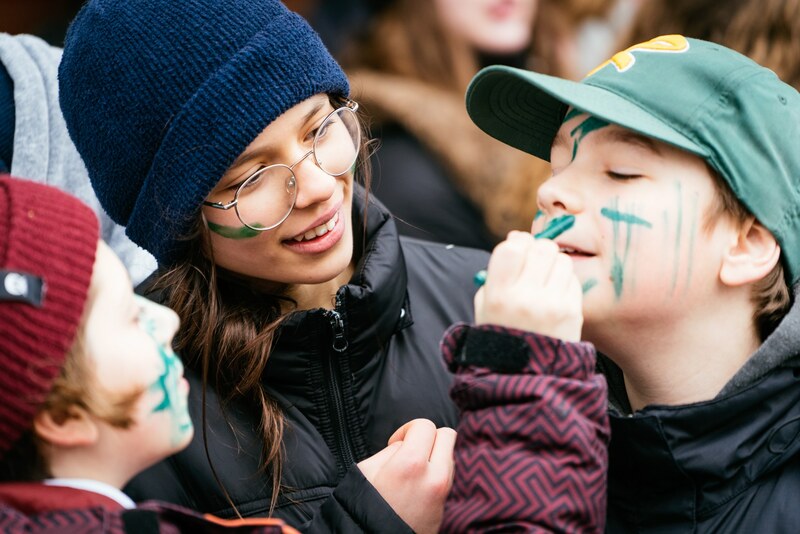 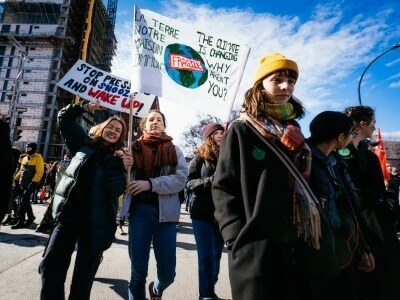 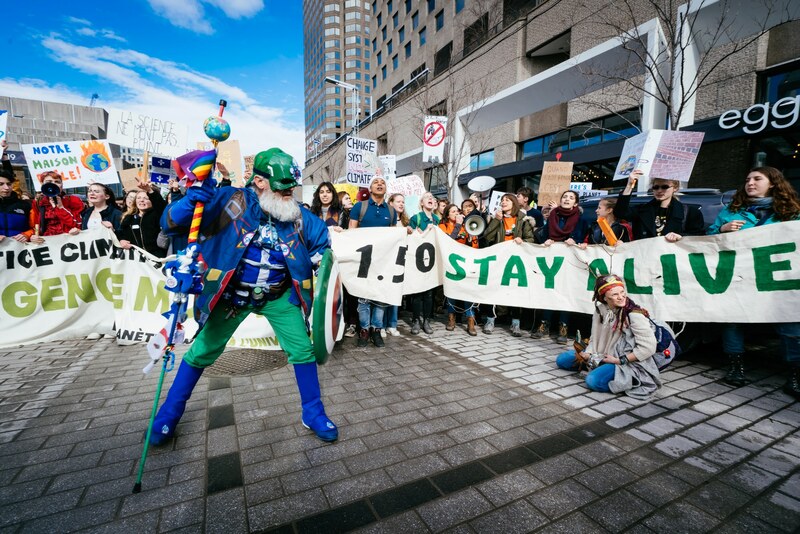 According to the organizers of the event, more than 100,000 people walked on Friday, March 15 for the fight against climate change. 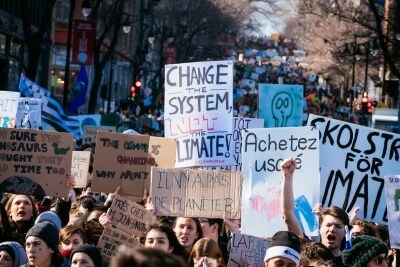 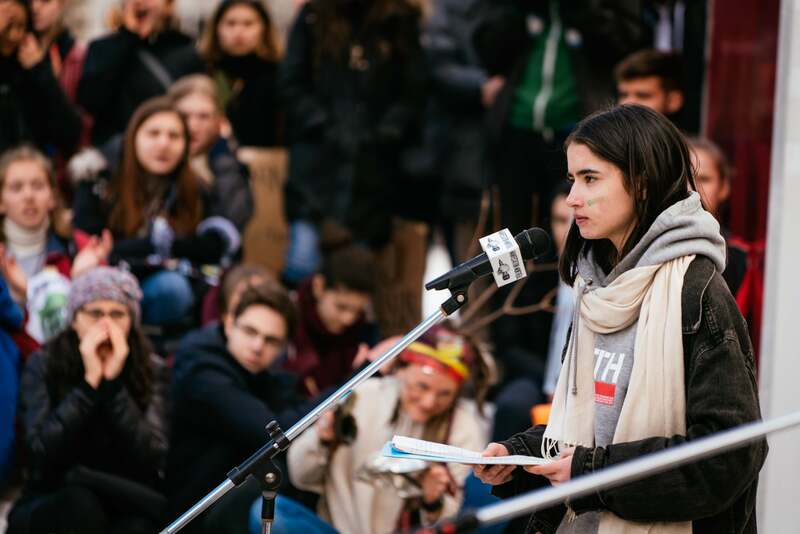 This event would be the largest of this international day of student strikes aimed at calling on governments to act now to curb global warming. 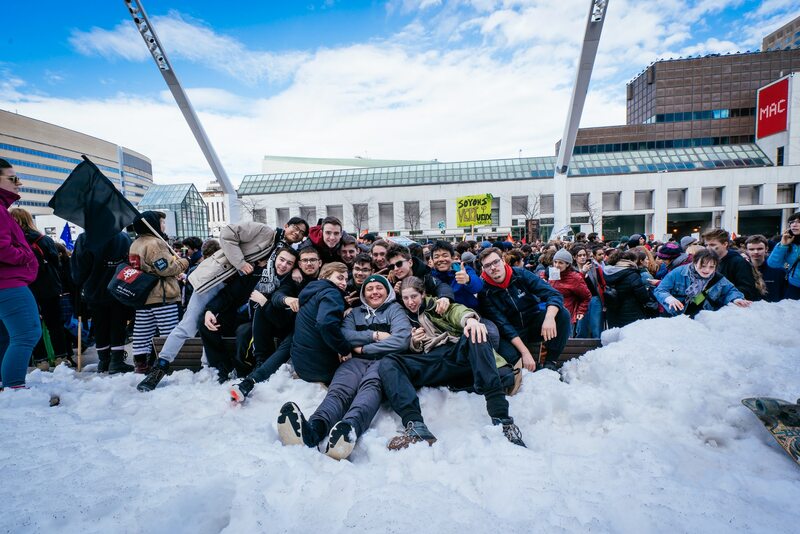 The protest, composed mainly of striking students from high schools and CEGEPs from the province started at 1:00 pm at the foot of Mount Royal and it was almost four hours later at Festival Square. Nearly 150,000 students were on strike. This event is part of an international movement of strikes and protests that took place in more than 2,000 cities in some 120 countries. 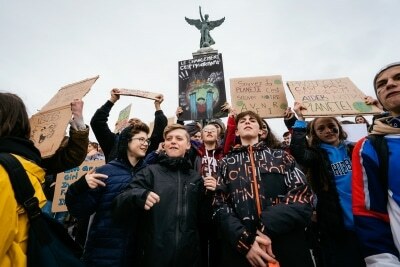 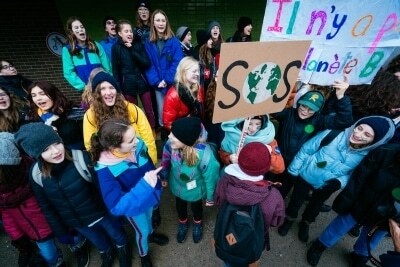 This movement was initiated by Greta Thunberg, a young Swede who has demonstrated in front of the Swedish parliament every Friday since last August. 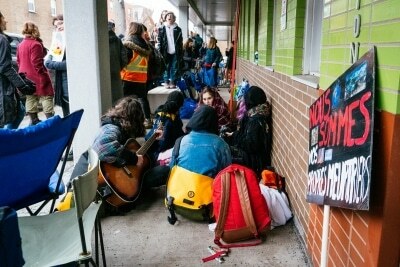 Parents from several schools, including Robert Gravel School in Montreal, began the day with pickets to educate their colleagues and teachers about their cause. More than 150 students had been previously sanctioned for being away from school to participate in Friday afternoon demonstrations. The determination and enthusiasm were palpable. 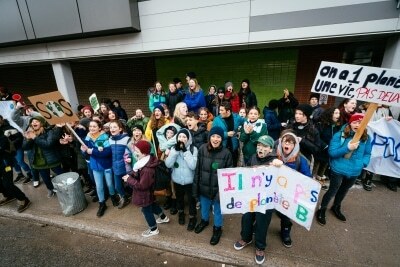 Here are some pictures of their picket.